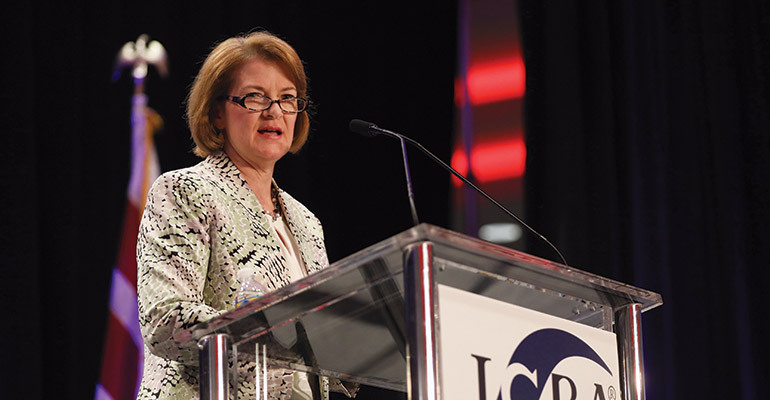 From April 8–11, hundreds of community bankers converged on Washington, D.C., for the 2018 ICBA Capital Summit. There, they heard from acting CFPB director Mick Mulvaney, comptroller of the currency Joseph Otting, Sen. Pat Toomey (R-Pa.) and pollster Kristen Soltis Anderson. They also visited Capitol Hill to lobby their legislators on issues including getting S.2155 to the president’s desk and the farm bill. 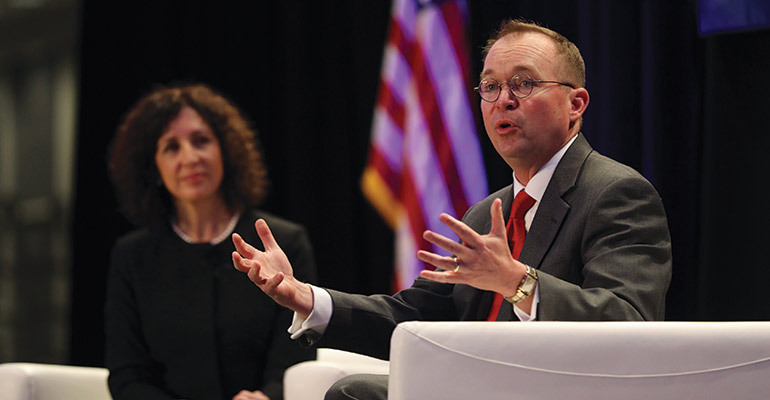 Rebeca Romero Rainey interviewed acting CFPB director Mick Mulvaney, asking about his plans for the bureau. 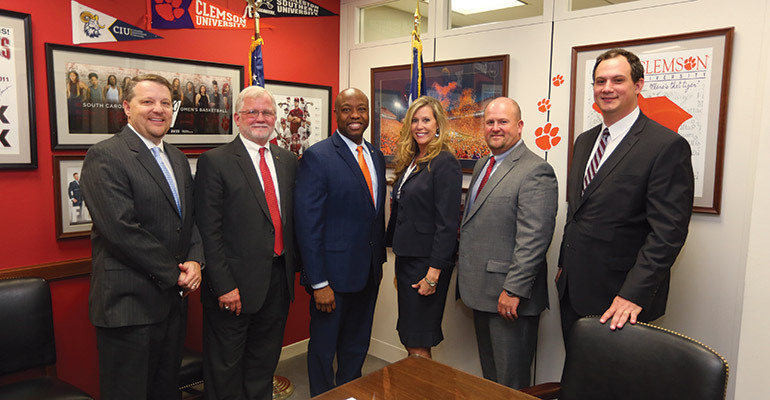 South Carolina community bankers met with Sen. Tim Scott (R-S.C.), third from left, to thank him for his support of S.2155. 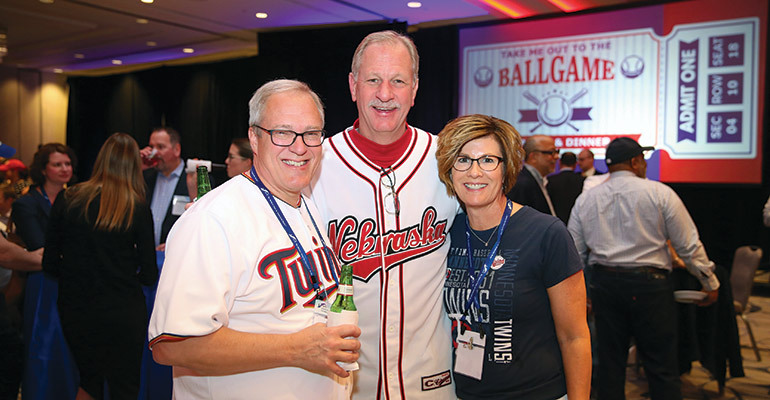 Larry Winum of Glenwood State Bank in Glenwood, Iowa (center), with Jack and Gina Hopkins of CorTrust Bank in Sioux Falls, S.D., at the baseball-themed reception. ICBA’s Karen Thomas gave community bankers a laundry list of talking points as they prepared to meet with their legislators.